Verona M. “Roni” (Chamberlin) Dilling, 90, of rural Hollidaysburg, went home to be with her Lord, Sunday afternoon, April 14, 2019 at her residence. She was born in rural Martinsburg, daughter of the late Ralph D. and Mary C. (Hite) Chamberlin. On June 25, 1950 she married George E. “Jim” Dilling Jr. at the Duncansville Lutheran Church and he passed away on October 17, 2004. 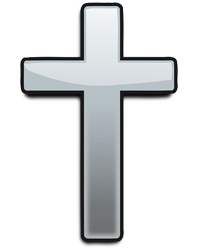 Surviving are a daughter, Elaine F. (Paul) Tremmel of Williamsburg; two sons: Neal A. (Rhonda) Dilling of Blue Knob and Roy E. (Rita) Dilling of Altoona; 18 foster children she raised in her home, including Chris Koch and Sara Bougher and their children, whom she considered her grandchildren; seven grandchildren: Dawn M. (Jeffrey) Dibert, Matthew A. Dilling, Wakenda M. (R. Gregory) Szrama, Satinka L. (Jason “J”) Dodson, Katrina A. Probst, George “Tre” (Kalena) Dilling III and Bret R. Smith; three step-grandchildren: Lori (Brian) Crawford, Melody Ferry (Scott Bowers) and Travis Frederick; 12 great-grandchildren; and three step-great-grandchildren. Verona was preceded in death by a daughter, Linda K. Smith; a great-granddaughter, Mabel Ann Dilling; two brothers: John A. and Ralph D. Chamberlin; and two sisters: Dorothy “Dot” Weyant and Bertha J. Sollenberger-Campbell. 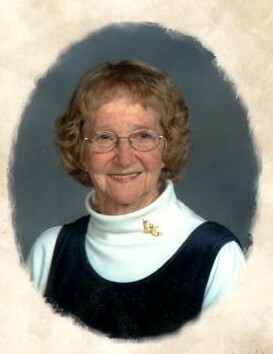 She was a 1947 graduate of Hollidaysburg High School. Verona was a member of Vicksburg Grace Brethren Church, where she taught Sunday school and often helped in the nursery. Verona was primarily a homemaker who served as a 4H leader for 17 years. She loved spending time with her family and also enjoyed flower and vegetable gardening, painting, reading and doing crafts. Friends will be received from 4-8pm, Thursday, April 18, 2019 at John K. Bolger Funeral Home Inc., Martinsburg and from 10 until the 11am funeral service, Friday, April 19, 2019 at Vicksburg Grace Brethren Church, Pastor Sean McGill officiating. Interment will be held at Brumbaugh Cemetery, rural Martinsburg. Memorial contributions in memory of Roni can be given to the funeral home to help the family with various expenses.